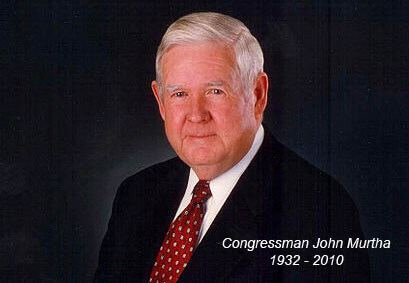 John P. Murtha, the powerful Dean of Pennsylvania's Congressional Delegation who became the longest-serving U.S. House member from the state of Pennsylvania, died Monday, February 8th, 2010, from complications following surgery. He was 77. The 19-term Democrat was the first Vietnam veteran to serve in Congress. Most recently, Mr. Murtha led the House Appropriations subcommittee on defense spending. Murtha was a representative for Pennsylvania's 12th Congressional District since 1974. Revered in his district, never winning by less than 55 percent in a general election since he first went to the House, Mr. Murtha became famous as the first Vietnam combat veteran to serve in Congress. "I'm honored that the family of John Murtha has called on me to provide such a dignified service for a man who so well deserved it," Duca said. "The community will miss his presence, and he will never be forgotten." A public visitation was scheduled for two days prior to the funeral and transportation arrangements were made to and from the funeral home from various locations for the public to pay their respects to the notable congressman. Our facility remained open beyond visitation hours so no one would be turned away. 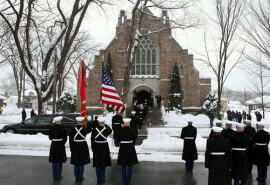 Services were held at the Westmont Presbyterian Church at 601 Luzerne Street in Westmont on Tuesday, February 16th.